Teeth may need removal for a number of reasons, from extensive damage to serious decay or infection. Extraction is sometimes the only method for easing the pain of an aching tooth. 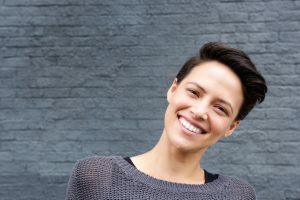 The decision on whether or not to extract a tooth is ultimately up to your dentist — keep reading to learn more about this type of oral surgery in Houston, including when and why tooth extraction may be necessary for your smile. There are two types of tooth extractions: simple and surgical. During a simple tooth extraction, the tooth is visible above the gumline and the dentist simply uses forceps to remove it. When a simple extraction cannot be performed due to impaction or breakage, your oral surgeon must remove the gum tissue and bone on top to extract the tooth beneath. Stitches are required following a surgical extraction. Wisdom teeth, teeth that break during simple extraction, and teeth that are surrounded by very dense bone usually require surgical extraction. Whether you had a simple or surgical extraction, you’ll experience some discomfort following your procedure. Patients undergoing surgical extraction will have stitches to care for, too. You can minimize discomfort and speed your recovery by keeping the following aftercare tips in mind in the days after your extraction. Remember to take your pain medication as directed, and to let your dentist know if your symptoms worsen or do not subside after a few days. Once your tooth extraction has healed, you and your oral surgeon in Houston can discuss your next steps for tooth replacement if necessary. Dental implants, a bridge, or dentures can help you enjoy a complete smile once again. Questions for the team at Piney Point regarding tooth extraction or replacement? Don’t hesitate to contact us today!